All of the below information comes directly from job reviews written by BDO LLP employees based on 267 reviews. Application is self explanatory. Even though it really shouldn't be, from observing the recruitment at the firm, school attendance seems to play a large part. Audit is testing the financial statements to gain assurance that they are true and fair. As long as you are personable you would look good. BDO love to see that you actually understand what the company is about, so research the values and goals of the company. When answering application questions make sure you are prepared to expand on those answers in the interview. When asked a question in an interview, expand and give as much detail to your answer as possible. There is nothing worse then giving a one word answer or for the interviewer to have to ask lots of questions in order to get enough information they require. Be yourself and make conversation, the interviewer will be looking to see if you will fit into the existing team. Research the role and the firm very carefully. Be aware of current economic conditions. Etiquette is important and so is character. Know the values, and why you prefer BDO to the big four. Be passionate and have done your research on the company. Ask good questions, as the environment you will be in if you get the job is very question orientated. Competency questions, as well as a bit about the sector and job you have a applied for. Take your time to work out what sort of answer the question is looking for with reference to BDO's core values. Put in the extra effort to show who you are, answer questions fully and have a conversation. Make sure you identify why you want to work at BDO as oppose to any other firm. Try and put as much of 'you' into the application as possible. The interviews consist mainly of competency based questions (e.g describe a time when you worked in a successful team). Avoid memorising scripted answers, but do think about different experiences (leadership, working in a team, a disappointing experience, etc) before the interview so you can recall a relevant situation. Do not overcomplicate your answers or exaggerate. The STAR method could be used to help structure your answers. Take your time in answering the questions and ask for a moment to think about your answer if you feel it will help you give a clearer response. If you do not think you can handle the heavy workload and have a try in audit, BDO is a good choice. Follow what wiki job tells you. Be open and honest! People don't expect you to have lots of experience and need to imagine being able to work with you. If you don't have experience, then make sure that you read up on what BDO do and understand the role you are applying for. Make sure you go to the interview prepared, be yourself and be confident in the assessment centre, it's not as scary as you imagine it to be! Research it before you apply. Show passion to join the firm and the department you are applying for. When it comes down to the psychometric test be prepared they're not easy. Do some preparation for them and take your time. Make sure you are up to date with current affairs especially business related topics. Ask questions about how that affair would affect the business. Also ask lots of questions about the business and their various business streams and strategies. Research the company, the role and try to pre-empt the interview questions and prepare answers to these questions. Be prepared for the small exams. Why us and not the big 4? What have you got to offer this role? Do some research of the company's key values. Be sure you want to be tied into a 3yr training contract. Don't apply just because you can't get a Banking role the skills are not that transferable from Audit. Learn about the cultural values of BDO. Be sure you want to do it and that you are committed enough to deal with both a job and exams. Be able to ask the interviewer insightful questions about themselves. Don't try to be too clever, interviewers can see through it. Be yourself and stand out from the crowd. Academics aren't everything, you have to show that you have personality too. Don't bore your interviewer. Talk about something that excites you and they'll be far more interested as a result. Prepare well - read the website, know BDO's values. Be yourself and explain why you are honestly interested in Audit. Show some personality. You have to take it seriously. I had to do a lot of research and preparation before my interview but it was worth it. You don't need to be from an accounting background to be an accountant. Be honest and prepared. Make sure you know what an audit is and what you are actually applying for. Make sure you have researched the company and know its background and ethos. Really understand the role that you are applying for and have a knowledge of the company. Understand and be able to talk about the qualification that you will be undertaking. Have queries ready about the role. Read the website, know the company jargon and research the role you are applying for. Make sure that you structure your application and focus hard on the aptitude tests. Make sure you know the Company values and the "attributes" that they look for in a graduate- there are often questions on this. Be friendly and try to do some research before you come regarding financial news- commercial awareness is important. Don't focus exclusively on your degree or work experience, bring in as much of your interests as possible. Everyone applying will have a 2.1 degree so it is your interests and experiences that can differentiate you from the other candidates. Don't be afraid to mention things that you've done wrong in the past, talking about how you've overcome troubles and what you learned is important. Take your time on your application and tell the truth. You are likely to be asked about things from your application in your interview. The company does not have a 'type' of graduate they employ, everyone is very different so don't try to be what you think they want you to be, just relax and be yourself. I would advice a candidate applying for this role, or in fact any role, to be genuine. I have found that you spend a great deal of time with people you work with, therefore, both you and your employer need to know that it is a good fit. Do your research before you arrive and make sure that you ask questions to get yourself comfortable with the job and employer at the interview. Find out actually what audit is before you apply. For the presentation, don't talk about Tesco. Apparently everyone talks about Tesco. Ensure that you show that you are a rounded person, so discuss the extra-curricular activities and hobbies you are involved in, as well as your academic achievements. Get your personality across in the application. When interviewing, BDO wants to find out if you will fit in with the culture as much as if you are competent for the role, so just be yourself and be confident. Be yourself, the interviewer will be able to tell if you are just repeating what you think they want to hear. Be positive mentally and verbally whilst going through the interview stages. Do well in your preparation, and be yourself. Spend time understanding what roles in this company involve. Also, don't apply for roles here if you are intent on never sitting an exam again. The interviewers are not interested in people who have memorised the website and can quote it back to the interviewer - obviously, it's important to have that awareness and understanding, but that isn't what impresses interviewers. Use your common sense and initiative and show that you have more than academic ability. Make sure you research the company well enough, to understand what makes them different from all the other audit firms out there. It also reflects well if you ask questions about the firm, to show you are engaged and have done your research. Tailor your CV to what the company is looking for. Make sure you know our values and understand the brand. Also an understanding of what the particular department you are applying to does is crucial. Be up to speed with current business developments. BDO look for well rounded individuals- try to get some work experience, accountancy or otherwise during university. Maths/business background is not necessary! Practice the application tests over and over, and apply for as many jobs as possible as the recruitment processes are all fairly similar and are great learning experiences. Learn the BDO core values, you are often asked at interview. Answer very question provided sufficiently and accurately and understand the need for "exceptional client service"
Don't lie on your application, you will get caught. Think about the firm's key values. How you have demonstrated them. None, just use your experiences from prior work experience. Make sure that you take your time and do your research beforehand. Also, I would recommend going to a careers event and talking to someone who actually works at BDO and find out a bit more about the company as you can't always find everything online. Why do you want to work for BDO and not the Big Four? Why do you want to work in this particular stream/work area? Other competency based questions/scenarios such as team work. Big focus on issues/examples that relate to their values such as client service. The interview process is fairly similar to most grad schemes. There is an online application where you have to 'give a time...' followed by online tests. Get someone to check over your application, and make use of the free online psychometric tests to get you used to what to expect for the tests (they are fairly straightforward though). Be yourself - BDO like people being individuals. First round interview is just with one person (probably from the office you are applying to). These are your usual interview questions which again are 'give a time...'. Try have things ready that aren't in your application form. Also, know the firms values! Once you have had your first round interview, if successful, you will be invited to an assessment centre. For my intake we had a group exercise (talk enough to get noticed but also don't take total charge - it is all about working as a team!! ), an in tray exercise (which is just about organising your time), a presentation (in front of a manager), and then 2 partner interviews. One thing to note is you will have a lunch with trainees at the firm. Remember to make a good impression here too...they will be asked what they think of you! Think about why BDO appeals to you over a Big 4 firm. Read the online forums, read the companies website. Try and find out what the job involves! This role is suited for someone who is willing to learn throughout their career and be comfortable with the fast changing world of tax! It may seem like a lot of work but it is very enjoyable and you can see the value we add to our clients. An important question to answer is "Why BDO?" having generic answers like "it has great values" or "its diversity" will not gain many brownie points. Sometimes the simple answers are the best e.g. 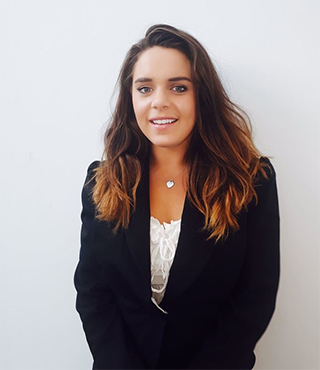 "I want to work for a reputable accounting firm as it will be a great platform to kick-start my career"
I would also advise keeping up with current affairs in the tax world to help set yourself apart in the interview process and show you have a keen interest. Ensure you know the background to the specific area you are applying for as this will be raised at interview. Competency based questions - have a think beforehand about various examples in your experience that you could use in these questions as this will help you to think quickly on your feet in the interview. Bring your personality through and tailor your answers to both the company you are applying for (e.g. their values) and the specific. Relax, make eye contact and accept a drink. Have a bank of appropriate questions at the ready e.g. what the best experience you have had?, how did you get to where you are now? You need to do a good research of the company and understand why you really want to work for it, and not just provide usual answers. I was asked to prepare a presentation for my assessment centre. My advice would be if you are applying for energy and mining sector, prepare a presentation on a mining company or an energy one as it will help you to get some background about the industry and also show you are keen to be working in exactly that sector. Research the company and the job role you are applying for. Make sure that you know what you are applying for and that you really do want the job - this is a specific stream and quite different from accountancy. Know the firm values and have responses for the standard interview questions such as when have you been a member of a team, used your initiative etc. How many hotels are there in the UK? Be yourself and don't panic. Do your research. Make sure you have some idea of what you will be doing and what BDO's values are. I was asked for BDO's core values and why BDO over other companies. interviews are relaxed, spend time preparing for group, presentation and e-tray. Apply early on and male sure you do your research into the company. Do not copy and paste stuff from the website, show that you have researched the role and have an actual understanding of what it means. There is plenty of information on this site about the kinds of questions you'll be asked, but most importantly you need to show real interest in the job, ask questions, show that you're excited about it. Do your research on the company and the sector you are applying for and spend a good amount of time filling out the application. Be yourself - if you have the academic requirements, another really important factor is fitting in with the team and clients. There's no point getting a job that's not for you. Know the BDO core values and get a basic understanding of what audit is and the industry/markets that BDO's clients are primarily made up of. Researching AIM would also be useful during interviews. Be confident, demonstrate what you know about the industry. Practice several competencies before the interview. The interview stage is relatively stress free - it's about getting to know you and you getting to know about BDO. Make sure to ask some questions as it'll show you've done your homework. Put loads of examples of situations you have faced. Be prepared, look at the competencies that BDO look for in clients (they are on the website) Look at their ethics i.e. about excellent client service and education and empowerment. Try to mould your answers when talking about your experiences to these competencies. In my interview we talked a lot about similarities between my voluntary work and BDO client based correspondence i.e. how I would deal with upset or angry clients. My assessment day comprised of a group exercise, which was selecting cost cutting measures for a hospital all of which had positives and negatives. In this scenario it is important to show you have a balanced approach can make points but also understand and develop other people's points. And of course making sure the group is on track to complete the task is very important (keeping an eye on time etc). Then I had to do a presentation on what industry could benefit from BDO services and why. There was also a written exercise which I really can't remember and an informal chat with my now partner. Although I am told these interviews can vary depending on your partner. Come into the job willing to work hard, and the good jobs will come in time. You will not be doing advisory day one! Fairly straightforward application, no tricks. Look on wikijobs for questions, be yourself, look interviewer in the eyes when presenting and be confident. Double check your answers and make sure everything is spelt correctly. Try to get a friend or family member to review your application too. When answering competency questions, try to give a range of examples. Research the company before you apply, including memorising their core values. BDO's values are extremely important to the company and therefore you are likely to have a question on them in your interview. Check application for spelling and grammar. Be concise and honest. Know enough about the role and the sector you are applying for. Prepare well for the competency based interview. Speak up in group based activities. Try to use experiences from outside of the academic environment as much as you possibly can. Most candidates have gone to university and completed individual projects and no doubt worked in teams. Think about how your experiences make you stand apart from all the other applicants; this will help strengthen your application and justify why they should give you an interview. The main pieces of advice I could give having had a glimpse at both sides of the BDO application process is try not to be nervous, and just be yourself. It's cliche but be yourself, BDO is looking for your fit to the firm itself as opposed to just your ability to do the job. This means the offices usually have a very good atmosphere and togetherness. Keep as relaxed as you possibly can be - they want you to shine. Know the BDO brand values. Research the company and the types of client. Tailor answers to the sector/department you are applying for, make sure you research company, sector and role well and show this in the application. Ensure that you highlight your skills and knowledge. Ensure you are up to date on current affairs affecting your sector/department. My advice would be to try it out first. Attend insight days, do the work experience and network whilst you're there. Knowing someone within the firm can always help. Especially at the interview stage, as per my own experience, where I knew the firm and they felt comfortable about who I was associated with. Be friendly and research the company's website. It helps doing a bit of research on the interviewer. Ie linkedin. - Research the firm and the work they do! To try to get an idea of the work the team actually does, and what sort of clients the team has, and what plans they have in place for your first 6 months before accepting the graduate scheme. I felt as though, during the interview they were definitely more interested in getting to know about me as a person and making sure I would fit in as part of the firm rather than my technical ability- which was reassuring. Ensure you know the company and our clients for the specific office you are applying to. Also be well aware of the role you will be fulfilling and how you would like to progress within the company and in what timeframe. Show enthusiasm for the career and be able to show good commercial awareness for the issues which our business faces both internally and externally. Work hard on your application to make it as reflective of you and your achievements as possible. Give details of extra-curricular activities and instances of going above and beyond what was required. Learn the values by heart! Be yourself, the company likes real people with good interpersonal skills. Research the company and role thoroughly before applying, looking at what changes have happened to the market place since the financial crisis and firm movements within this industry. Ensure you know the finance stream that you are applying to, the training contract is 3 years and if you are not sure you could be stuck in a job that isn't right for you. BDO values a team that work well together, they aren't looking for the brainiest graduate with a first from oxbridge (although that doesn't hurt) instead they are looking for sociable people who can hold their own. Make sure that you know about the company and the competencies we look for. Make sure all of your answers actually show the qualities BDO look for. You need to be clear as to why you want to work for BDO, and why you want to work in the role you have applied for. You need to show the interviewer that you have the competencies we look for, and that you want the job. Too often applicants only display one but not the other. Make sure you have researched the role you are applying for and the company. Global Outsourcing and Service Charge are both interesting areas of accountancy and new graduates should not be put off by the fact that they are not audit. I would suggest that candidates do some research on the roles and consider them as an alternative to audit. Make sure that you research the company and areas you apply for. Above all, just be yourself in an interview - after all, accountancy is a service industry and the people hiring need to see YOU not just your qualifications. Read the annual accounts and try to explain why BDO and not other big 4 firms. Be prepared and confident, but not arrogant. Research the company, try and arrange to meet a current employee and speak to them about the role you wish to be in. Make sure that you are committed before you apply - qualification is a long process, and the exams can be difficult. Team fit is very important - being able to demonstrate that you are keen and easy to get along with is a must. Being a clear and insightful communicator is very important for the group exercise on the assessment day. Exceptional academic achievements are not enough alone. Having a good understanding of what the role actually entails is also important, do your research prior to applying. Research what makes BDO different from the Big Four accountancy firms and demonstrate why that suits you personally. Learn BDO's values. Do your homework - research the company and industry. Work on presentational skills. Be honest, genuine and relax. We look for candidates who show enthusiasm and have done appropriate research without recruiting from the website. It should come across that you have a genuine interest in undertaking the professional qualification and working in the area in which you are applying for. Research which area you want to go in as there is a wide variety and although you can move within the firm it is easier if you get it right in the first place. Learn the 4 core values. Also learn about the other areas of BDO and how they work together to give a client a better service. Finally, for the specific area you've applied for, e.g. audit, ask around and find out what you will be doing on the job. To be committed to the ACA/CTA as it is more work than you would expect. Be yourself and relaxed. Interviews are a lot more focused on personality rather than technical knowledge. Be committed to your ACA exams as they require hard work and commitment. competency questions. Be honest. Be prepared to learn fast. Be keen. Make sure you want to be an auditor, understand the role and what you would be doing on a day to day basis. Learn BDO's core values and have clear reasons why you want to join the firm. Make sure you do your research around the values and beliefs at BDO, these are key mantra's that BDO abide by. I would also suggest not trying to be someone that you think we are looking for and be yourself. We are a people heavy company and if you aren't yourself and then find that you don't fit in it wont be pleasant for either the company or yourself. Always give situational answers and vary them. As a heavily people based industry BDO like to see that you can relate to different issues and occurrences. Be yourself - show your personality. BDO are not interested in robots. Show your skills through a vast range of examples - not just university etc. Thoroughly research the firm and their values. Research not only the role, but the company as a whole. The company provides a number of services to clients and we are always looking for ways to provide cross-stream services therefore it is important to understand what the firm does as a whole. Be yourself! And also be talkative. If you don't shout about your skills and experiences the interviewer will never know so make sure you get everything across. Competency based questions e.g. "Give me an example of a time you worked in a team"
Don't apply to audit. Only apply as a last resort. Extremely uninteresting and will tie you in for at least 3 years with little or no pay rise. Don't necessarily need relevant experience just experience of sorts and, try to understand the type of people they want from their values, these are important. Show an interest in learning and developing, and wanting to be part of a team. Know the company values these are asked frequently - the description as well as the title and be able to convey what these mean to you. Show a keen interest in Financial Services firms, and don't be afraid to be yourself. It appears the firm is looking to employ a wide-variety personnel. Research and know why you want to be doing the job. Have confidence in your answers. Be prepared, know which area of the company you are going into and research the specific role. Be calm and don't get flustered. Research the company and the tax dispute resolution role, including what it involves and the current context of tax avoidance and disclosures. What effect will current developments have on tax dispute resolution work? Try again if you fail! It just takes practise. Speak to the partners about their areas. Show an interest in them. Pay extra attention at what you are asked in application questions. Make answers tailored to the company. Timing is very important - keep an eye on deadlines of each application stage. Be prepared before interview, do market research, try to know more about the company you are applying to. Be yourself and show your personality. Ensure you are talkative - one of our managers mentioned that if the applicant doesn't chat while in the lift that he will mark them down. Ensure you know about the area applied to and current issues in the media. Research about what the job entails and know vaguely what kind of things you will be doing when you join. It shows you have an interest in your career and the profession. Be yourself and relax in the interview. From my experience the interviewer is more focused on how well you will fit in with the team than being a know it all, and perfect at the job. Research the role you are applying for and ensure that is what you want to do because you will be in that role for at least 3, if not more, years. Prepare for the interviews well as there is a bank of questions that could be asked. Learn what is involved with auditing a company and if possible try and gain some experience before hand (either shadowing or placements). Make sure you know the big issues affecting the financial sector along with any relevant news stories. There are plenty of routine questions. e.g. why this company? What makes us different? Name a time you have worked in a team? What does audit involve? There are however some unexpected questions so be prepared. e.g. What is the biggest issue affecting audit companies at the moment? Make sure you ask at least two questions at the end of the interview to show you are interested and engaged with the job/sector. Be prepared to work hard, especially when exams come around and you have to work the normal job plus keep on top of studying. Be confident in the things you are saying/presenting. Interviewers are not necessarily looking for great technical knowledge, as a lot of applicants have little accounting background. BDO look for well-rounded people, so don't be afraid to list your hobbies and favourite activities, no matter how obscure. Ensure you prepare for the interview and assessment centre. Basically do as much as you can beforehand to ensure that you're best prepared for the interview/assessment. For me this meant second guessing what questions I would be asked so that I was not caught on the spot in the interview. Do your research, especially on the company. Company specific questions will be asked. Also make sure that as well as having good experiences to talk about you let your personality shine through. Give different examples, do not use the same one repetitively. Why BDO over other firms? Consider a big 4 firm. You will work just as hard, but have a better CV. Otherwise, go to a smaller firm, where the workload will be more mangeable and the progression opportunities better, at the expense of a lower grade of client and a less impressive CV. Client service. Client service. Client service. BDO (understandably) obsesses about it, so emphasise your abilities to serve clients and your willingness to work hard to bring about the best possible outcomes for them. BDO's values were a key question (honesty, integrity, mutual support, strong & personal client relationships) - memorise these and be ready to explain what they mean to you. Otherwise, a good understanding of the role you're applying to, as well as the industry in which we operate (our competitors etc) is key too. Take the time to do them properly and not assume that your grades will be enough to get you through. Do your research and be yourself. Make sure that you know enough about the organisation and the role you are applying for and that you can talk about in detail. Try and relax in the interviews and assessment centres so that the interviewers can get to know the real you. Research the role and the wider market. Network with professionals if possible i.e. through careers fairs/open days etc. Understand and research the changes in the accounting profession. Find out about the accountancy qualification you may be studying for and any professional memberships you may be part of when in the job. Make sure you know who our main competitors in the marketplace are. Be prepared to explain why you have chosen BDO over other employers. Extra curricular activities are very important- therefore if you have taken part in any activities/work outside of university ensure you make this known, and explain the skills and experiences you gained as a result. Competency questions i.e. time you worked in a team. Ensure you understand the company's core values. Be positive and confident- you will be working with clients so it is essential that you demonstrate positivity about the company and you are confident in such situations. Make sure you research the market and understand the department you may be working in. Make sure you understand what services the company as a whole offers. Make sure you know the job you're getting in to. Be enthusiastic, friendly and focus on social skills. Be friendly, speak up but don't be arrogant. Read through the website to get an idea of what the job entails. Get work experience if you can before applying for a full time role. Make an effort to get to know the firm. Show enthusiasm. The application process should not be daunting. Say what is true about yourself and this will give you the opportunity to be more interesting as you will know more about it and be able to talk at greater length. Do not slip too far into a jargon, business speak when trying to justify why you want to join BDO as this comes across as fake and forced. The interview should not feel like an interrogation. You should write about what you really like in your application as this will form the starting point of your interview. Therefore, if you want to seem like an interesting person, it is a lot easier to be passionate and excited about topics which you actually enjoy! Make sure you fully research the firm and the role before applying, and study all the options available to you so that you are positive that this is what you want to do. If possible, try and speak to people who have worked in this area or are currently working there to gain a better understanding of what the role involves. As mentioned above, fully research the firm, and others like it and be able to demonstrate why you pcked BDO (over any other firm), and why you want to work in your chosen field. Be able to demonstrate your skills and abilities and how they will be useful in a professional services firm, where there will be time pressures, exams to study for and frequent face to face client situations. Research where you can go/want to go with the firm/field in which you are appling for. Research the company, research the qualification and be sure that it's the route you would like to pursue. Stay calm and confident in interviews. Take some stories or talking points with you into the interview stages and try to engage with the interviewers - they are looking for someone who they can get on with and who will fit into the organisation. Take a few current/recent commercial news stories that you are interested in with you - commercial awareness and an interest in current affairs can stand you in good stead for the interview process. Make good eye contact and try to be yourself. Research the company beforehand, think about your answers to application questions carefully and don't rush the application form. Make sure you practice the online tests beforehand! Be yourself, remember its not just about your academics but the person as well so be sure to talk about other things your involved in, prepare for the assessment day, enjoy it....it was the most relaxed assessment day I attended. Make sure you know what you are getting into in terms of the CA application. Make sure that your own personality shines through your application. Review what sets BDO apart from other firms & what it's core values are. Be sure to ask questions during the interview. Don't panic, a pause between answers is no bad thing so take the time to think about your answer. Research the area you are applying for and think whether this is exactly what you want to do. Most importantly - be yourself. Always be yourself at interview, it is a personality test. Think of competancies and take examples from your life experiences for this. Apply for lots and lots of jobs - the numerical and verbal reasoning tests may be hard at the start, but after you have done 10+ tests, they become easier and you even begin to recognise questions! Give me an example of when you worked as a team? Other generic competancy type questions - eg. when have you had to overcome an issue. Allow plenty of time to get your application question right. Also don't lie about things you have done you will be asked about them. Just be yourself, its a stressful process and they company know that but make sure you listen to people and also ask questions and seem interested in the response. Make sure you know what your role involves, what kind of clients do your company audit? Do they specialise in a sector and what size companies do they work with. Make sure you also understand how many hours you will have to put in studying and the consequences of getting fired. Be prepared to talk about what accounting actually involves, how much time you will spend in college and the variety of clients BDO audits. BDO Birmingham for example is heavily involved in manufacturing, with wide range of sizes. Make sure you have knowledge of what is expected in the job ie. what an auditor does. Consult ICAEW website for info on exams. Be personable, polite and bubbly as a lot of the job is dealing with clients so being an ammeanable character well definitely be looked out for. Examples of excellent customer service. Don't be afraid to really talk about yourself in the 'About You' section. Know what a junior auditor will be expected to do in their first year. The initial website application can seem awfully long, however to make the right impression time and effort need to be put into this. Make sure that you do not just copy and past an application from a previous employer. Why do you want to work for BDO opposed to other firms? Try to practise being put under pressure, although I encourage you to think of example questions you could be asked; it is unlikley they will ever be the same. Therefore try to be quick thinking and have a bank of experiences and knowledge you can draw upon. BDO generally want to know how you can be responsibile, innovative, work in a team e.t.c. and they will ask questions regarding them in order for you to prove you have these skills. Be confident and do research of the company and the qualifications you might be studying for beforehand. Not knowing what you will do in the job is a big fall down. Think about the particular skills you will need for the role and highlight these in your application. Be concise, read your application back to yourself and think would I select me for an interview based purely on this information. Smile. Relax and be yourself (but professional). Interviewers want to see your character. If sucessful you will be part of their team and they need to be able to see if you will fit in well. Look at clients or sectors the company work in and read news articles, think about the challenges the sector and company may face. Prepare questions for the interviewer, if you can show a true interest in the role and company. Do your research, especially on career motivatoin, ie. why audit? why accountancy? And make sure you research the company as thoroughly as you can. They take on around 80-100 graduates across the UK each year and get over 8,000 applications (I think). They are looking for any reason to discount you and narrow down the search. Go for quality of applications rather than quantity. Standard competency based questions, just do your prep and you will be okay. I used wikijobs a lot through the process and found it extremely helpful! Candidates for BDO LLP should be prepared to work hard but to also enjoy the fruits of their labour. BDO rewards success and if you are committed to a career in accountancy BDO is the right firm for you. Do as much preparation as you can a few days before the assessment center, then take the evening before off to relax. Many of the candidates get very stressed and this comes through in the interview, BDO are looking for those candidates who are calm under pressure. Research the company thoroughly before attending the interview. To research the specific area of the business you are applying to. Do not 'pad' out your application form. Keep things to the point. Brief enough that the individual reading it doesn't think they are reading an essay, but interesting enough that they want to read on... and obviously meet you! Regardless of whether you think you are good with numbers or not (it does not matter either way), you need to make sure you have good communication skills to talk to clients etc. So at your interviews and assessment days get stuck in, communicate and show confidence. Ensure you know the company well and the role you are likely to play within the company. Understand major clients and be open-minded and ethusiastic about the opportunities available to you at such a large company. Be sure that you want a career in accountancy. Studying towards the ACA qualification is hard work & if you're heart isn't in it, it will make the whole process significantly more difficult. Be yourself. The interviewers are looking at how well you would interact with clients, as the majority of the job is client facing. So be confident, but definitely not cocky! Read up on the company and their values by looking at the BDO website. Make sure you are clear as to what the role is that you are applying for and why particularly you want to apply for that role. Be ready for a range of competency based questions. Know the firm well and do your research! Be honest and relate things back to actual experiences you've had. Research the firm and why you want this job. The exams are tough - it is a struggle, but worth it in the end and many opportunities once you have qualified. Research the company and industry before applying. Do some research before coming for the interview. Mainly keep up to date with any ongoing news stories which may be relevant. This will seperate you as a better candidate. Be yourself as they are looking for people who will fit into the team. Don't be too cliche.. i.e. "passionate about tax" "read the financial times" etc. Be different and honest. Gain a good understanding of the qualification and corporation tax, understand what is expected of you in the job. Try speaking to people in similar positions beforehand. Look into the different options of doing an ACA and what you want to achieve by it. Tax offers a stable career and good progression and renumeration options. However it may not be the best place to start if you are looking to move on to different departments in the finance world for the reason that the impressive element of your CV will be that you are tax knowledgable, (which if you don't want to stay in tax may be more of a hinderance than an addition). Befriend the partner/ manager in the interview, find some common ground. Be yourself. BDO choose people who are friendly, outgoing, imaginative, ambitious and if you have these qualities they will naturally shine through. Why have you applied for this particular role (in Audit/Tax)? - be knowledgeable about what each area of BDO gets involved with by looking on their website and researching beforehand and know why you really want to join that area. Answers learnt off the website are not good enough, they don't want a perfect answer...they want your answer. Ask lots of questions early and often, gain a good understanding of the principles of audit and accountancy and it will put you in good stead for your career. Be honest. Explain your experience and show interest in things, this will give the impression that you are an interesting person. Make sure you're prepared for the assessment centres and don't worry if you're not from an accounting background. Try and pre-empt the usual questions (such as "where do you want to be in 5 years?") and answer them in general chat. Be sure that accounting is something you want to go into. Once you are sure it is then research all the companies, both big4/smaller/middle market and decide for yourself which one fits best with you. Be honest and don't be afraid to speak out when performing group exercises. This will help you to distinguish yourself. Prepare, be friendly and smile as all the people I've met at BDO are very nice and will do the same. Read up on the aca, and what audit actually is and involves on a practical day-to-day basis. This impresses interviewers the most. Group stage - speak a lot but do not speak over other people. Interviews and Presentation - Make sure you research a lot about the Role, what BDO can offer and what the general environment and what the values are at the firm. Preparation; pay attention to the details. know why you want to join BDO. Take time preparing your application and ensure that you are willing to talk about anything you include. Moreover, if you know you are missing something from your application or there are obvious gaps, ensure that you are able to explain why these may exist. Prepare properly - do research on short, medium and long term items that you will be able to draw on. Understand why you want the role and what you would bring to it. Be prepared to discuss items in a free flowing manner, rather than simply preparing answers to the standard interview questions one would typically face. Be open and confident. Make sure you know what BDO prides itself on. Practise the verbal and numerical reasoning tests. Be yourself - BDO want to employ people who are genuine. The interview is very relaxed and this should help calm any nerves (which most people get!). Its very important to answer the question that is asked so don't focus too much on pre-rehearsed answers as they may not be fully relevant. Keep it simple and remember to be positive and smile! When applying for this role I would advise candidates to research about the company and the job role in great detail. I would advise candidates in the interview to be confident and be yourself. Be honest, if you are not it will be spotted. Be yourself, do not go reading online for hours the types of things you should write about and how. Just sit down and write what comes naturally; this shows you and that is what BDO want to know. What you are like. If you have met the grade requirements then you're considered able to do the job, so the application is about showing you and how you will fit in in the company, and with other staff. Make the interviewer feel comfortable with you. They will have to work with you after all, so make them want to work with you! Be relaxed, and know about the job you're applying for. Most of all, know why you want to work for BDO and why the sector youre applying for. Be prepared to work hard and be able to balance your time socially, work and college work. Be honest and be yourself. If you are and create a rapport with the interviewer they will be likely to hire you. Make sure that you know something about the industry and the company other than what is on the website. Read the financial times! Show that you have good technical knowledge on accounting and auditing. Show that you are well organised and that you can work independantly.